Through Moms in Prayer, the Lord prompted me to draw even closer to Him in prayer. I became keenly aware that this ministry of Moms in Prayer is important to restore children’s souls and those who are in dark environments and in a confused spiritual atmosphere. I have seen so many answered prayers and I’m also seeing changes among many mothers and children. Through God’s help, may we raise up intercessors, especially for the next generation in South Korea, through the excellent tool of Moms in Prayer. I have also realized that this ministry will become an important way to revive Sunday Schools in Korean churches and encourage moms to become active in church intercessory groups. many churches opening their doors to allow the South Korea Moms in Prayer team to teach the Igniting a Passion to Pray curriculum. more than 1,000 Moms in Prayer groups in many churches across South Korea and that the ‘fire of prayer’ for mothers continues to spread. 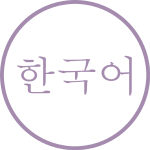 to strengthen the South Korean Moms in Prayer team that continues to train many new moms and start groups throughout the country. for continued open doors to teach the Igniting a Passion to Pray curriculum, especially to pastor’s wives, throughout South Korea.